We’ve moved! Harrowden Turf’s customer support team in Southport has moved to a new office, closer to the nerve centre of our Northwest based turf growing and harvesting operation. The old Harrowden Turf office was a familiar sight to people travelling between Southport and Ormskirk in Lancashire. The big white building beside the A570 was a brilliant base for Turfland/ Harrowden Turf for eight years. But as a Company evolves, so must its premises. 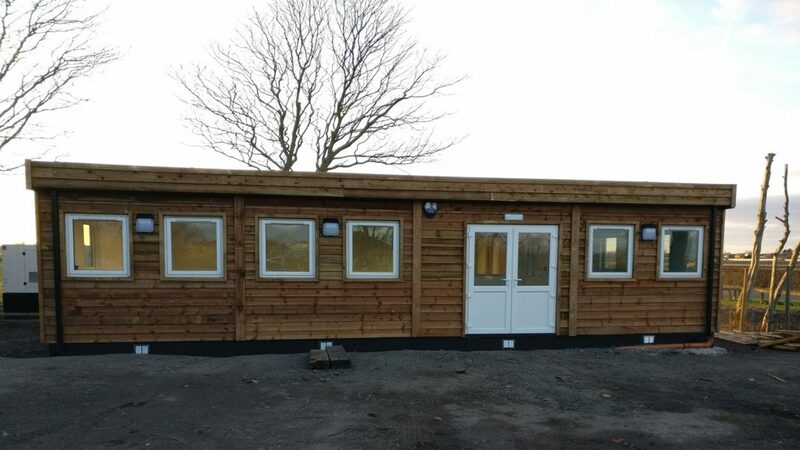 The new office has been custom designed and built and located very close to Harrowden’s despatch depot at Moss Farm. The whole thing is on one level, has easy access from the road and plenty of parking space. Being close to the harvest fields and loading area means easy communication between sales, harvest and despatch teams. The new office is more energy efficient than previous premises. 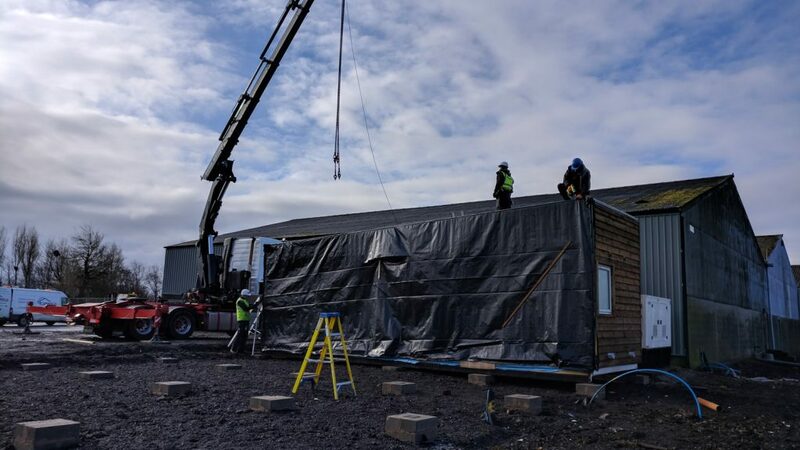 This is part of Harrowden Turf’s ongoing strategy to reduce the Company’s environmental impact and increase efficiency across all departments. 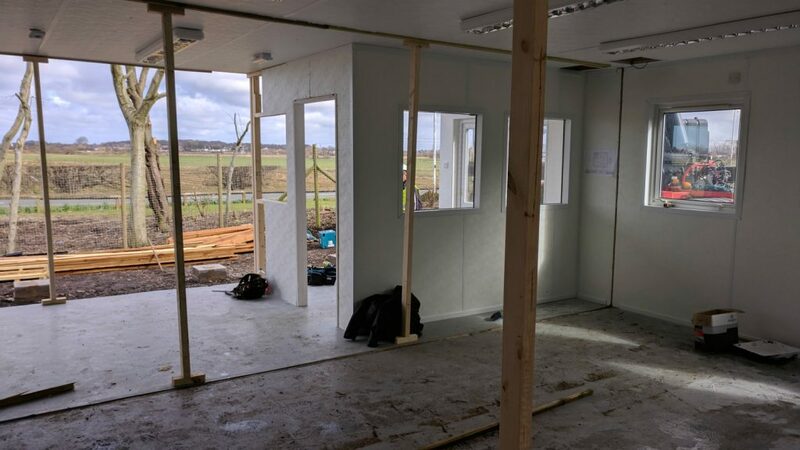 Building work took place over the winter and in early April 2018, the customer support team relocated. Lisa Stone, Team Leader at Southport is very enthusiastic about the new premises.